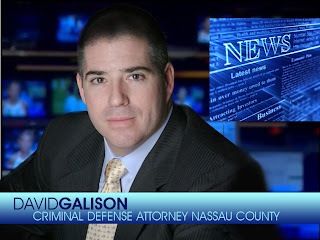 The Law Office of David Galison, P.C., handles all Criminal, Traffic Ticket and Personal Injury cases in Nassau, Suffolk and Queens Counties, New York. The Office at 1539 Franklin Ave in Mineola, is conveniently located within walking distance of the Long Island Railroad, the Nassau County Legislative Building, the Nassau County Police Headquarters, and the Nassau County Criminal Courthouse. 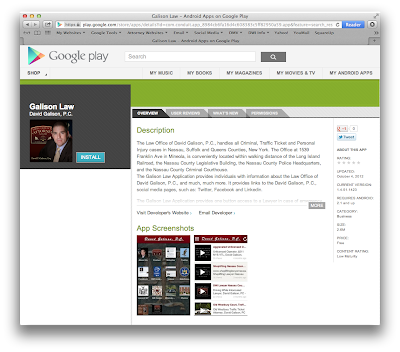 The Galison Law Application provides individuals with information about the Law Office of David Galison, P.C., and much, much more. It provides links to the David Galison, P.C., social media pages, such as: Twitter, Facebook and Linkedin. The Galison Law Application provides one button access to a Lawyer in case of emergency in addition to a page about your Miranda Rights. There is a map function to guide you to the office and an email link to request assistance or setup an appointment. Important links are provided to sites such as the New York State Department of Motor Vehicles, WebCrims, Laws of the State of New York and of course the David Galison, P.C. websites. Videos are pictures are uploaded monthly that cover topics from both the New York State Vehicle and Traffic Law and the New York State Penal Law. Lastly, QR Codes give your friends the ability to scan your phone and immediately add David Galison, P.C., contact information to their smartphones. The office handles all criminal and traffic ticket matters. I have recently been asked why I do not post testimonials on my websites. The simple answer is that there are some testimonials posted but they are not so easy to find. 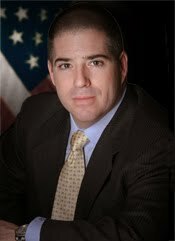 So here is a link for anyone who is interested - David Galison, P.C. Testimonials on GalisonLaw.com. The linked to testimonials deal with criminal matters, DWI, traffic tickets and family law cases. As you know at the Law Office of David Galison, P.C., traffic ticket defense and criminal defense are taken extremely seriously. Below are some recent testimonials from clients that had traffic violations in Nassau County, New York. Thank you Mr. Galison, you did an outstanding job representing me with my traffic ticket, I can't thank you enough for the time and trouble you saved me, not to mention the money. Again, thank you very much. Even the Judge after reading what the infraction was said "Boy you got some great lawyers"
Well I just wanted to write and thank you so much for all your efforts. Of course I will do everything I can to promote you guys because no question you're the best. Thank you David. Very promptly handled and a great result. Much appreciated. Happy to be a reference if ever needed. Thanks again! What a great outcome. Feel free to use this or my original comment from my earlier email. I had four tickets from a single traffic incident. Had I not been represented by David, my license would have been suspended and the cost of my insurance would have gone through the roof. He did a terrific job and was a pleasure to work with. Every case is different with it's own peculiar set of facts and circumstances. In both criminal and quasi criminal cases there is no guarantee as to what the end result will be. The testimonials above are listed for informative purposes only and in no way guarantee that a similar result will be achieved in your specific case. At the Law Office of David Galison, P.C., we strive to achieve the best possible result in each and every case and to treat each client with professionalism and respect. At the Law Office of David Galison, P.C., we handle all Nassau County traffic tickets and criminal cases from speeding tickets and stop sign violations to DWI and drug sale and possession. I personally meet with every client, and answer every call. I look forward to assisting you. 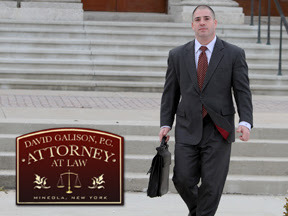 Call the Law Office of David Galison, P.C., at 516-242-4477 today to setup a Free Consultation.